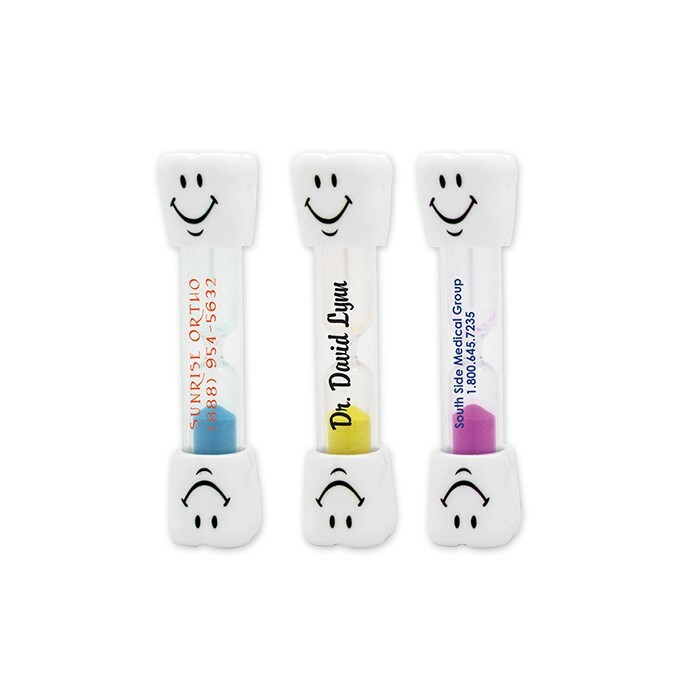 More fun than a toothache...Healthy habits begin early and our 3 minute smile sand timer is designed to help children achieve good dental health and have fun doing it. Kids will look forward to flipping over the timer and it will help them develop good hygiene habits. This child friendly item will be great for pre-schools and pediatric dentistry.